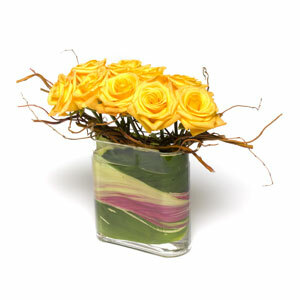 Happy Canyon Florist delivers flowers to Aurora, Colorado every day. We also deliver to all Aurora hospitals, churches and funeral homes. Aurora, Colorado, is a Home Rule Municipality and is one of the two principal cities of the Denver-Aurora-Broomfield Metropolitan Statistical Area. It crosses Arapaho, Douglas, and Adams counties and is the third most populous city in Colorado. While it is a large city, having more than 300,000 people, it has less than half of the population of Denver. Aurora was found settled during the 1880s, only then it was known as the town of Fletcher, after businessman Donald Fletcher. However, after Fletcher left the town with a huge debt, the citizens decided to rename it Aurora in 1907. Since then, it began growing, and in fact, it was one of the fastest growing cities during the late 1970s and 1980s.